Last weekend 4 of the team members, Tommy, Ed, Alice and myself, travel to Queenstown to race in the New Zealand Mountain Running Champs. The race was based in central Queenstown, starting from the base of the Gondola, and traversing up a vehicle access track, before moving onto some tight single track in the forest, and then a little bit out in the open before returning down the vehicle track for another loop. 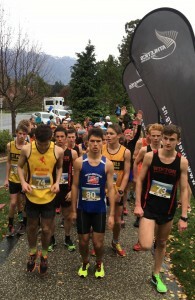 With 700 metres of climb in 6.9km, for us boys, it would be a tough test of strength and a good gauge on our hill climbing strength 8 weeks out from JWOC. If only the weather had been this good when we were there! Alice, Tommy and I flew from Auckland to Christchurch on the friday afternoon, where we meet with Ed at 5pm, and drove from there to Queenstown. Unfortunately Kayla, who was meant to be traveling with us, became severely injured during the week, and we wish her a speedy recovery so she can get back to training! 6 hours of EDM bangers, throwbacks and 4 repeats of Kygo’s new album Cloud Nine later, along with copious quantities of caffeine and food, we arrived at the backpackers in Queenstown. Upon entry to our room, we were greeted by the pungent aroma of one not so legal substance. Perfect race prep, wouldn’t you agree? 6.5 hours of sleep later we awoke to a freezing, damp Queenstown morning. We hurriedly packed and ate breakfast before moving across to the race start to pick up our numbers and get going. With strong winds and on/off rainfall, it took a brave soul to pull on a singlet, and take off the warm embrace of layers of jackets, thermals and tights. We left this painful ordeal until only minutes before the start. Under the starters orders we compiled into a small starting area. The relative distinction between the hardened orienteers and the not-so-hardened track specialists was relatively clear, with the three of us somewhat more relaxed, rocking terrain beaten off road shoes, compared to the jittery, racing flat, white sock wearing track boys. Tommy was somewhat more in between, only vomiting once before the start. Always a good sign for him. 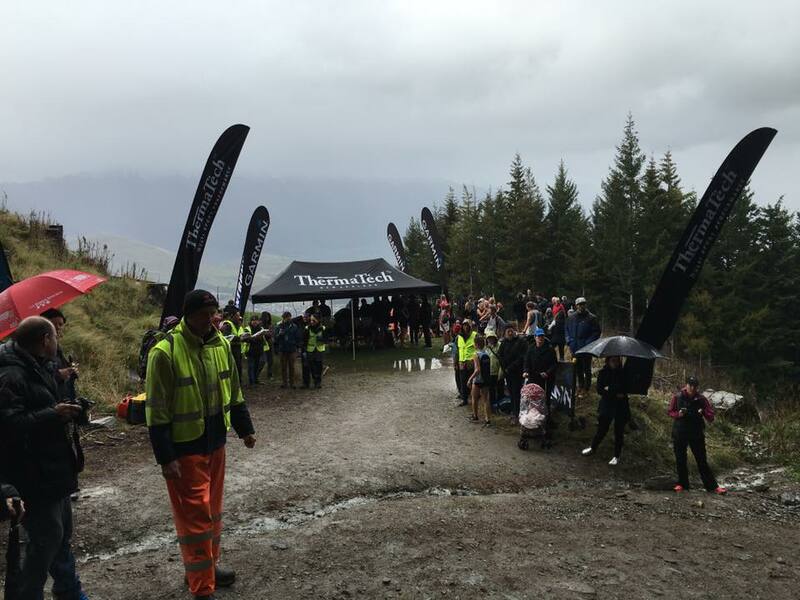 The race took off and plunged almost straight onto single track, a kilometre along the base of the mountain with only small undulations. Quickly one runner established himself from the rest, putting in 20 metres from the gun and never looking back. Following him was our very own ginger speed machine, holding a very pertinent pace in the early stages. The rest of us settled in at our own rhythm, awaiting the mountain to come. It came. After a kilometre of relative comfort came the climb, unrelenting for 3km with 446m of climbing, an average grade of 14.9%. We remained on the 4WD track for a further 1.5km before leaving it and running on steep, rooty single track, with plenty of erosion, schist rock and, due to the rain, mud. 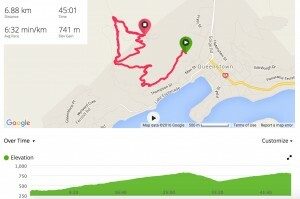 Junior Mens Course as taken from my Garmin. Just a little bit of climb! By now the leaders (including the ginger beast) were long gone and I was surrounded by runners from the longer course, now on their second lap. Alternating between slow running and fast walking, my lungs were burning, gasping in oxygen from wherever they could. My legs wanted to keep going but my lungs were saying no. It had been unrelenting climbing for 27 mins before I finally reached the top of the course, and a welcome downhill followed. Finally I could really stretch out, and the comforting feeling of added grip on slippery clay/schist roads meant that I could hurtle down the track, catching many more cautious runners in the process. 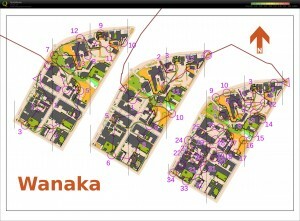 I hit the hills of the final loop with aggression, knowing there was only about 10 mins of running left. I emptied the tank on the final climb, catching a few straggling burnouts in the process. I crossed the line a touch over 45 mins, my legs and lungs spent, my arms and feet numb from the cold. Tommy crushed the course, finishing a superb second place in the junior men. Ed was a little bit back from me, and Alice finished soon after him having started later in the Junior womens race. Sonia also finished strongly in the Open womens field, running the same distance as Ed, Tommy and I. 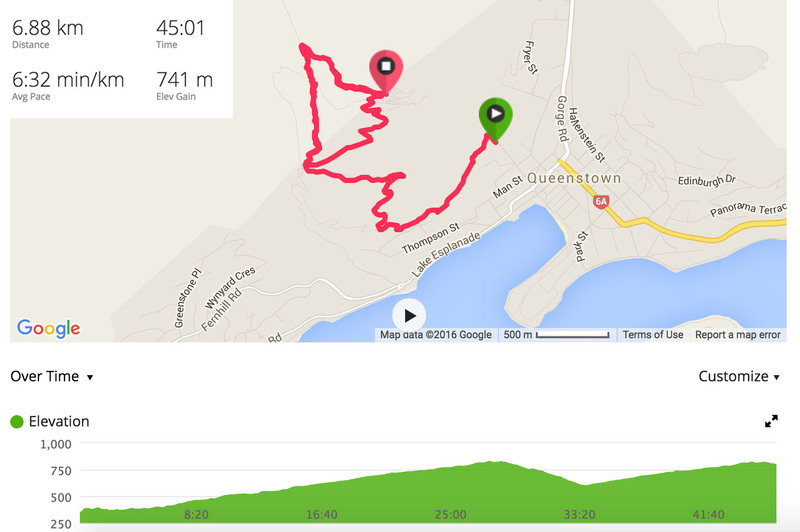 After excellent recovery the following afternoon and night, we set out the next morning to do a nice training on Queenstown hills. 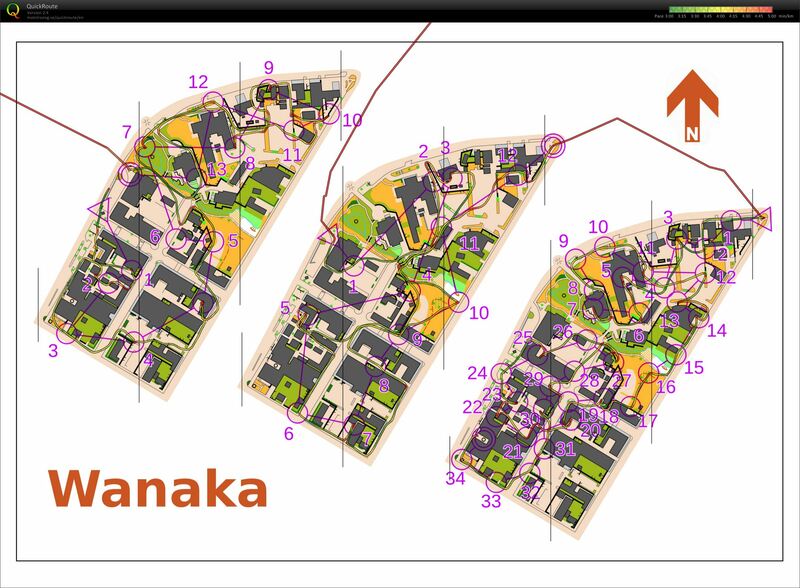 However after waking to misty, rainy, cold conditions, and with limited and seemingly restricted access to the map, we decided it best to skip this session in favour of some nice sprint intervals in Wanaka central, a training swiped from the DOMA of Wanaka local Fraser Mills. This was a fun fast session to make the legs feel even more pain after the race the day before, but also to test some overspeed and route choice decision making whilst fatigued on a map none of us had run on before. The first 2 we started at 30 second intervals, and the final one we started with a handicap system. Alice started 1:30 ahead of Ed, who would start 30 in front of Tommy and I. Tommy and I raced off from the start to try and catch Ed early on. Tommy set a blistering pace from the start, as he always does, and I happily tucked in behind him, letting him lead me through the first 20 controls, with a couple of different route choices here and there. We caught Ed at control 20, and as the pace lifted towards 21 Tommy shot off down the road, trying to distance himself from us, in the process, however, missing the small alley into the control. Ed and I got ahead, and after a few tricky controls I pushed the pace again leaving 25, pulling slowly away from Ed, chasing Alice who was still ahead. Alice held the lead until crossing the road to 31, where an unfortunately placed car driving along the road (why would it want to do that) stalled her and I was able to sneak past. From there I could hold on to take a solid victory, although nothing to the standard of Tommy’s performance the previous day. We then undertook the lovely five and a half hour drive back to Christchurch to make dinner at the Cory-Wrights, some quick chat about JWOC and Europe and travels and Tiomila and other orienteering things before jetting back out to the airport and flying home! A tough and exhausting weekend all done! 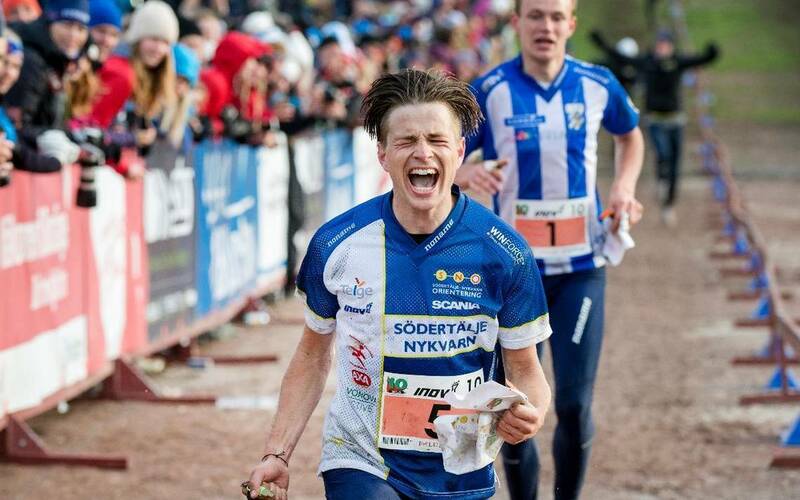 Just another stepping stone to the ultimate goal, JWOC 2016! Thanks the Cory-Wrights for allowing us to take their car across the country for the weekend, and entrusting me to drive it!